Kootenay National Park, a place of unique contrasts, from icy mountain rivers to steamy hot springs. Kootenay National Park is best known for connecting nature between Banff Alberta and Radium Hot Springs British Columbia, in the beautiful Columbia Valley. Kootenay National Park was established in 1920 as part of an agreement to build a new road across the Rockies. The park can boast of hot springs, ancient fossils, world class backcountry trails and an infinite winter playground. It takes roughly 60 minutes to complete the scenic drive through Kootenay National Park. Highway 93 South only shows you a glimpse of its incredible nature. 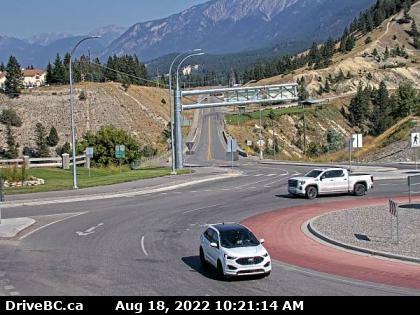 Stop in at the Information Centre to plan your trip through the park or download our Kootenay App to make the most of your drive. Spend the day exploring deep canyons and tumbling waterfalls just a short stroll from the highway. Or, plan a vacation traversing the park’s backcountry trails. The Burgess Shale is one of the most significant fossil finds on earth. These exquisite fossils found in Kootenay & Yoho national parks are changing our understanding of evolution itself. Parks Canada protects these internationally significant treasures. We also make it possible for people from around the world to visit in person and explore the origins of life on earth. Backcountry campgrounds in the Shadow and Egypt Lake areas of Banff National Park are also accessible from Kootenay National Park trails.